The lovely Rhenda and Nev from IKHAYA are part of the Durban contingent at the DESIGN INDABA 2013 Expo. If you are in CT, go and check them out, their stand is beautiful. 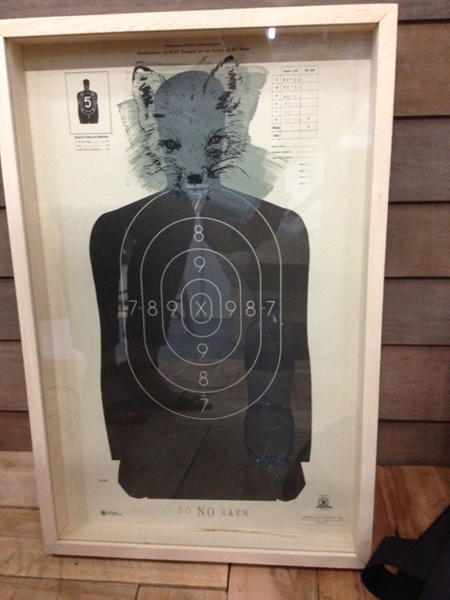 This is the Foxy head I illustrated and Rhenda screen printed onto their vintage target DO NO HARM posters.